The European Union (EU) Written Declaration on Epilepsy is receiving very good support from Members of the European Parliament (MEPs) from throughout Europe. 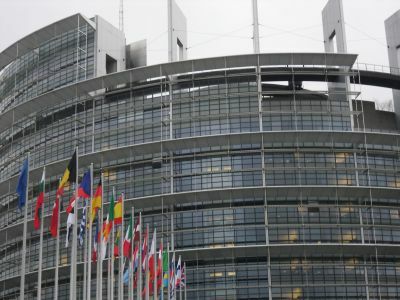 The declaration first opened for signatures during the plenary session in Strasbourg in May, when a total of 107 MEPs added their signatures to the book. During the second opportunity for signing, in early June, a further 138 MEPs signed the declaration, bringing the total to 245 signatures. On the 22nd/23rd June a short mini-session in Brussels brought a further 30 further signatures. So, at the end of June 2011, 275 MEPs have signed the declaration demonstrating their support for people with epilepsy in Europe. In order to have the EU Written Declaration on Epilepsy carried in the European Parliment, we need to receive a minimum of 369 signatures (a majority of all MEPs). Listed below are the names of the MEPs who have signed during the May and June sessions. IBE, the International League Against Epilepsy (ILAE) and the European Advocates for Epilepsy Group (which is chaired by Gay Mitchell MEP) are extremely grateful to those MEPs who have already put their names to the declaration. The next opportunity that MEPs will have to sign the declaration will be from 4th  7th July, during the next plenary session in Strasbourg. The following, and final, signing opportunity will be in mid-September, after which time the declaration will be closed. If we receive the necessary 369 signatures by September, the declaration will be carried; otherwise it will lapse. There is no doubt that we still have a challenge ahead of us if we are to succeed in this task. But we are also aware of the importance of having the declaration in place and its value at both national and European levels. Please support us in our efforts by writing to MEPs in your country to encourage them to sign the declaration. If you need a list of national MEPs and their contact details, please contact [email protected] and we will be happy to assist! Click here to find out more about the Written Declaration.